Our canine companions love nothing more than a bracing winter walk and a good day out, and with lots of doggy-friendly hotspots along the Welsh coast there’s no need to leave your four-legged friend behind. Set into the wild coastline of the Llŷn Peninsula are some of Wales’ finest beaches, which means plenty of wide, sandy spaces that dogs will love to explore. The beaches at Nefyn and Morfa Nefyn are some of the most well known along the peninsula and are a great space for dogs to chase balls, frisbees and sticks and even splash about in the shallow bay. There are lots of lovely cliff top paths for extra sniffs and smells, and not to mention stunning views for human walkers! Porth Nefyn beach and Morfa Nefyn (Porthdinllaen) beach are accessible from the A497. Neither have dog restrictions. There are 25 acres of stunning woodland, river banks and gorges for our four legged friends to explore at the Dingle in Anglesey. For two legged visitors there are nature trails, sculptures and a poetry trail by a local poet. A large part of the nature reserve is made up beautiful oak, ash and wild cherry trees, and the whole area is a haven for wild flowers like bluebells and daffodils, not to mention a healthy wild bird population. Dogs welcome in all areas. While you’re here……Enjoy a walk at beautiful Llanddwyn beach and forest. After a long winter walk there’s nothing better than a cosy pub for a welcome drink and a hearty lunch, especially one that welcomes four legged guests as warmly as the ones on two legs. 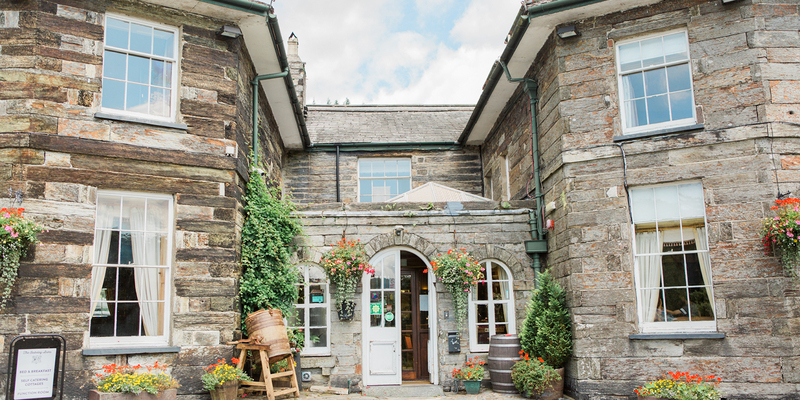 The Groes near Conwy is a traditional coaching inn that has been open to travellers since the 16th century, and although it’s been vastly expanded and extended since then, the historic period features like wooden beamed ceilings, narrow corridors, rambling rooms and secret nooks. Meals available in the bar and restaurant (dogs welcomed in the bar areas) and some of the hotel rooms are dog-friendly too if you’d like to make a doggy weekend of it. While you’re here……Visit Thomas Telford’s masterpiece, the stunning Conwy Suspension Bridge and then enjoy a leg stretch along the banks of the Conwy river estuary. Our four legged friends will absolutely love the two mile stretch of beach at Morfa Bychan, known as Black Rock Sands (thanks to the dark and brooding cliffs at its western end). It’s been a popular film location – it featured in a music video by British band Supergrass and in a film version of Macbeth. It was also the backdrop for the Manic Street Preachers album cover “This is my truth tell me yours”. It might not be the weather to get out the deck-chair and beach towel, but a bracing walk along the beach is a great way to blow away the winter cob-webs and tire out the dog! Black Rock beach is accessible from the village of Morfa Bychan near Porthmadog (postcode LL49 9YA). Dog control restrictions apply to some sections of the beach during summer months (May to September). Take care around the exit/entry roads as cars are permitted on the beach. While you’re here….. Why not walk all the way to the eastern end of the beach and continue to the coves and beaches of Borth-y-Gest, where you’ll find plenty more long sandy bays and rock pools to give pooch a really good run! There’s no need to leave pooch behind for this railway trip. The Fairbourne Railway on the mid Wales coast is a two mile narrow gauge steam train that runs from Fairbourne along the coastline to the tip of the estuary, from where you can hop on a ferry service to the town of Barmouth on the opposite side. The railway was originally constructed to transport building materials, but the lucrative power of the tourist was soon realised and the service was opened to passengers in the early twentieth century. Dogs on leads can travel on the train for a small charge. The wide sandy beach at Harlech is one of the best beaches along this stretch of Cardigan Bay. 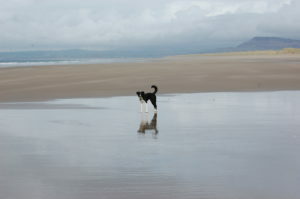 Four legged visitors will love exploring every yard of the four mile beach, along with one of the finest sand dune systems on the Welsh coast. The waters here are shallow and so are ideal for paddling pooches. And because there’s so much open space here, the beach is often quiet and peaceful – a perfect place to escape the crowds. Harlech beach is accessible from the town of Harlech, Gwynedd (postcode approx LL46 2UH). 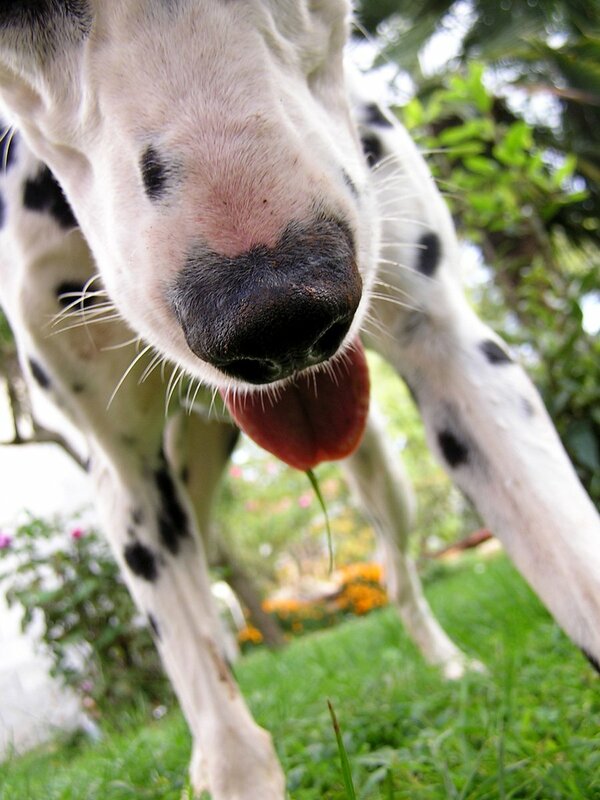 Dog restrictions apply to some sections of the beach during summer months (May – Sept). While you’re here….. Walk up the steep hill towards the castle for a closer look at this impressive medieval fortress. However, dogs aren’t allowed inside the castle buildings.